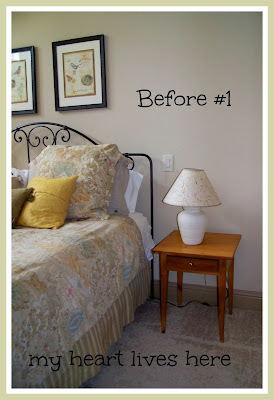 This post has not one, but two "before"
The bedside lamps in our master bedroom have needed replacing for a LONG time. Yes, I did buy them in the 80's. We have reading lights in the ceiling, so they have pretty much been functioning as "space keepers." Every time I looked for new lamps, I got stuck. 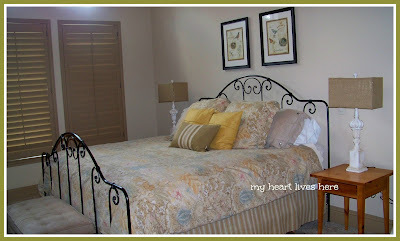 I felt limited by our iron bed and pine furniture. Yes....it is also time to do something about the pine furniture, but I'm kind of sentimental about it since we have had it for our 25 plus years of marriage. The great news: I purchased two red lamps at Home Goods (about 40 dollars each) that seemed like they would be perfect if painted... Here is one while it was still red (hence the second "before" picture). I painted them with Annie Sloan Chalk Paint in Pure White and finished them with dark wax. Well, technically I have finished one of them. I will wax the other one as soon as I finish this post! 3. 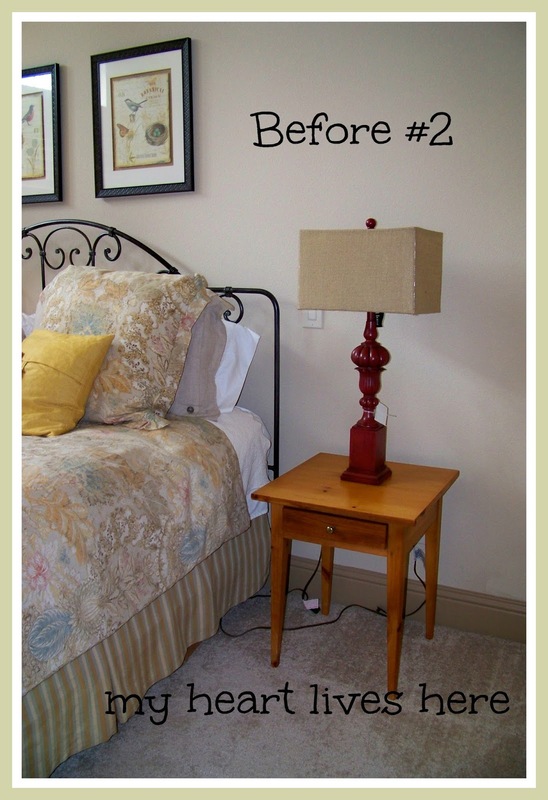 Look for bigger bedside tables. 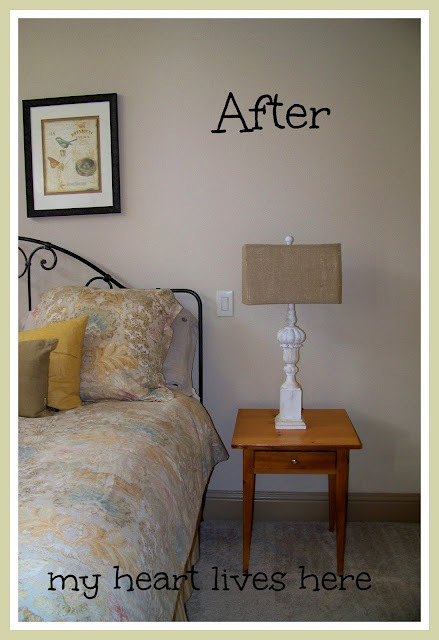 Love how your lamp came out, nice lamp too, but looks so much better white, and you did a dandy job on it. It is so hard to find the perfect lamps, right?! I looked all over for mine and ended up tweaking what I found too...thank goodness for DIY, right?! Yours turned out great! I popped over from The DIY Dreamer--thanks for sharing! i think you could embroider that little white birdie outline that's in your painting above your bed onto the lamp shade on the edge of it, with a couple of other lines to make it 'belong' there. that would be a nice repetition and will make things blend to the next level up. what do you think? like that idea? LOVE that idea! I have been thinking about the bird stencil that I used on my frig makeover, but I like your idea better. Love the lamp, I have one just like it waiting to be painted. Do it! You'll be so glad. Thanks Shawna - I will! Happy Dance! 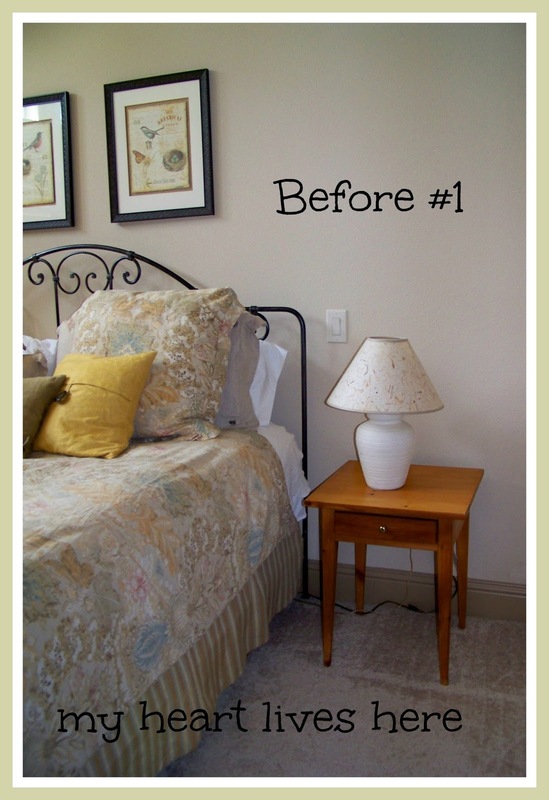 The lamp that you redid looks great! I have got to check out this Annie Sloan Chalk paint (it's everywhere). 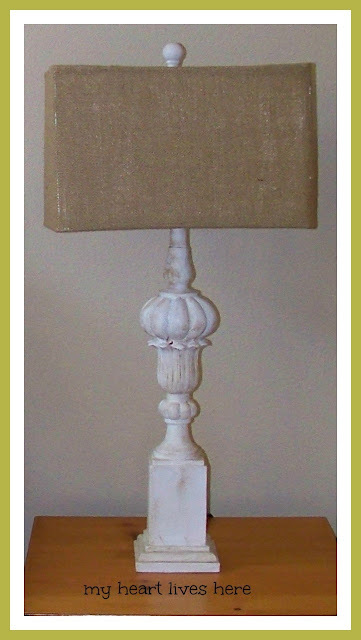 Hopefully you can get the other lamp finish and share it on the Blog Hop! Thanks for linking up at Frugal Crafty Home! 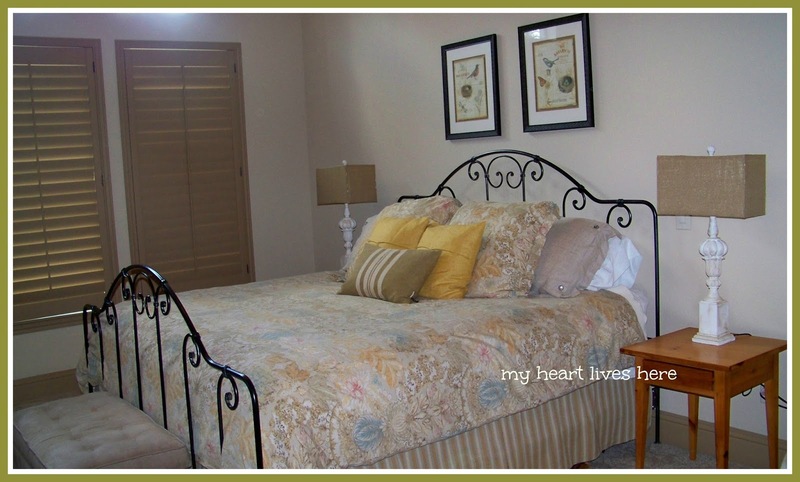 Tables might be fine if you would paint them black to match the bed. Hi Elisa, you obtained a very good result with the transformation of your lamps! Don't you just love chalk paint? I have found a really great one called Southern Honey Workshop "Chawk" paint. It's less expensive than Annie Sloan and can be ordered on line. It goes on really smooth. My children live in Nashville, TN where they are located. I found you while visiting Timewashed Blissful Whites Wednesday. I am your most recent follower. Hope you'll visit and follow me too.